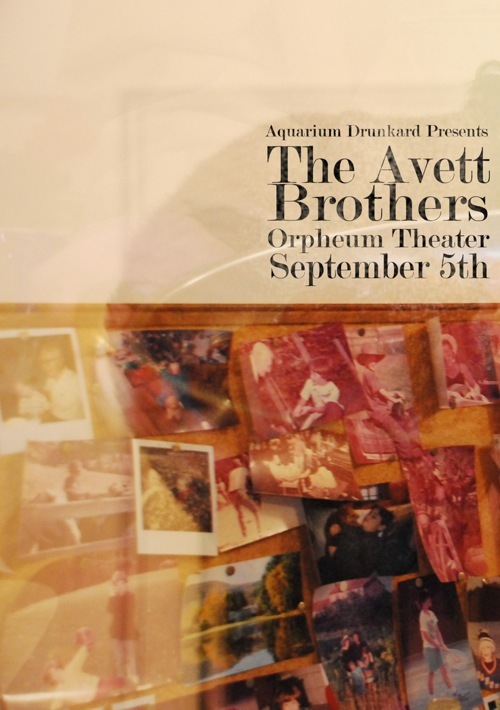 Aquarium Drunkard presents The Avett Brothers, Saturday night, at the The Orpheum in downtown L.A. The band is touring behind their upcoming LP I And Love And You. We are giving away tickets to AD readers. Leave your name and email in the comments – tix will be at will-call. ++ Giveaway now closed, 10 winners were notified via email that provided full name for will-call. Great band. Would be very cool to see them. My favorite band I have been dying to see them! Would love to see them at the Orpheum…I haven’t been there yet! Would love to catch these guys when they come through town! Would be cool to see these guys live. Hey Justin! This is Juan Pablo. C and I wld love to go this show. Add us to that list — and thank you! Look forward to it. Love them and they are GREAT live. Love AD for this and for continuing to showcase great music. Love you guys for doing these things…thank you! Avett Bros kill it live! You guys (and girls) are amazing, THANK YOU! Had the pleasure of seeing them in May, would love to see them again. Their live show is different every single time and is always incredible. Thanks a lot for promoting the show and for your daily posts of fantastic tunes. I’d love to go to the show. Can I get +1? AD is the new AC. Keeping my summers cool and my concerts cooler! If there is tickets left, please put me on the list and if there is room for my cool indie date, let me know PLEASE! If only…a guy can dream…can`t he…?